Socially Responsible Investing – A big step forward or a waste of time? 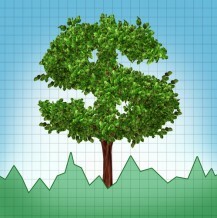 Ethical and green investment has never been more popular. Ethical Investment Research Services (EIRIS) report on their website that there is now seven billion pounds invested in UK green and ethical retail funds – compared to 1.5 billion 10 years ago. EIRIS contributes the growing success of socially responsible investment to increased consumer interest in issues like climate change, fairtrade, poverty and human rights. More people, writes EIRIS, are looking to put their principles into practice when managing their finances. Socially responsible investing (SRI) is putting more focus on corporate social and environmental practices through both positive screens, i.e. identifying companies that somehow benefit society and negative screens, which weed out poor SRI performers, including those who pollute or offer poor working conditions. Large pension funds and other investors around the world use screening agencies like EIRIS to assess how companies tackle issues like eco-friendly practices, human rights, and corruption. Interestingly, corporate scandals and the recent economic crisis have only proven beneficial to this trend: during 2008, when the crisis seriously started making its mark, the number of signatories to the investor-led and UN-backed initiative Principles for Responsible Investment (PRI) more than doubled to 381 as a response to the crisis. In 2009, PRI had increased to 560 investors managing a total of 18 trillion in assets, including private equity firms. So even during the height of the financial crisis, while other fields of business suffered brutally, SRI was on the rise. The following figures underlines the growth trend: According to the Washington D.C.-based Social Investment Forum, SRI has soared a startling 5,000 pct. in less than two decades. Where in 1984 SRI was a 40 billion dollar market, by 2003 it had morphed into a 2.16 trillion industry. In 2005 almost one dollar in ten under management in the US was invested in SRI funds. What we are seeing is this: More and more companies are realizing that short-term shareholder value creation cannot stand alone. As a result, companies are responding with attempts to reconfigure their DNA as pure profit seekers through responsible and sustainable business actions. But as I point out in an earlier blog post: When old world logics meet new world practices – paradoxes emerge. And investors face tough questions about what is really consider socially responsible. ‘Sustainable weapons’ is a case in point. It is examples like this that mark a dividing line: Critics say that socially responsible investment is so broad that it’s meaningless. On the other hand, pragmatics argue that SRI is incremental and a movement for social change – an evolution not a revolution. So, is SRI an important first step or a meaningless waste of time… what do you think?